We love helping our special children, and we love hearing from their families! 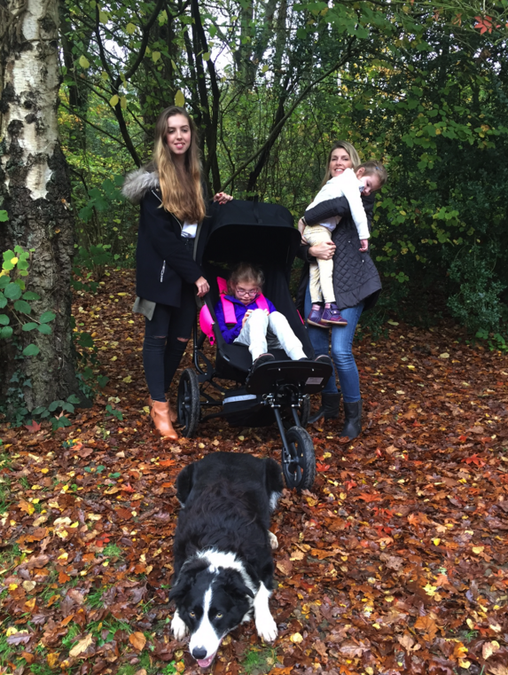 Thank you so much for Isabelle's amazing pushchair! It means we can now go for walks from home, as a family, which is a great opportunity to do something together that we all enjoy. It can be a real effort to get everybody in the car with 5 children, including 2 wheelchairs and lifting both girls and their chairs, which means we generally spend a lot of time in the house. Now we can walk from home and the dog comes too. 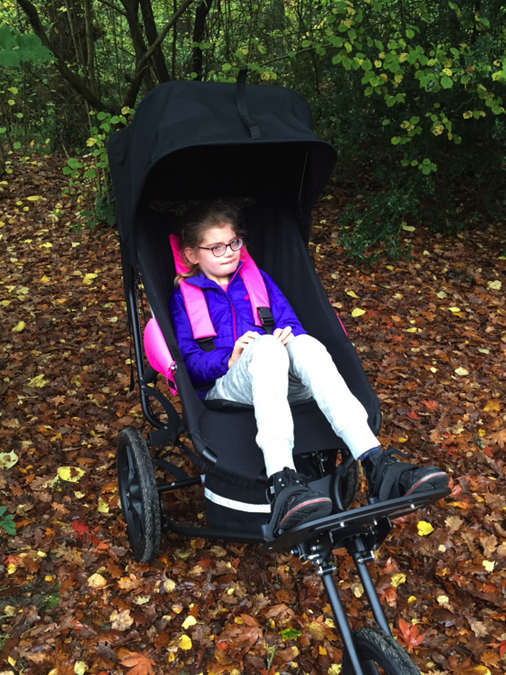 Isabelle has a very comfortable ride across potholes and through puddles (which she loves! ), the chair is light and very easy to push. For a 10 year old she is very tall, so the extra large sized chair will last many years and see her into adulthood. 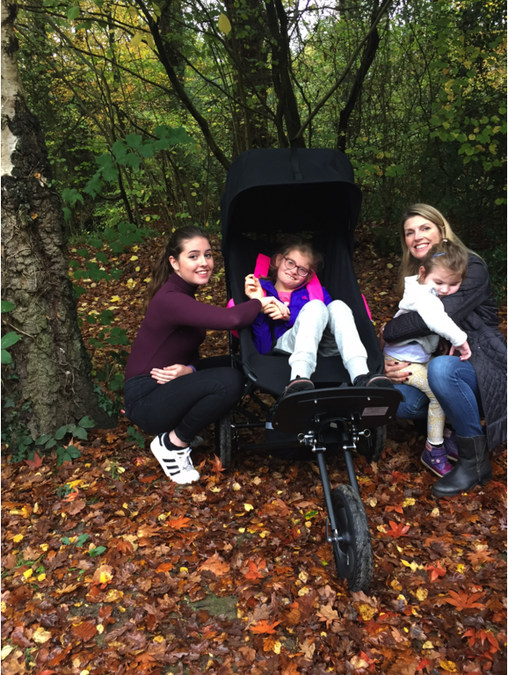 We are extremely grateful for your kindness which is allowing her freedom to explore the outdoors again and be part of a normal family activity, it has revolutionised our weekends! "